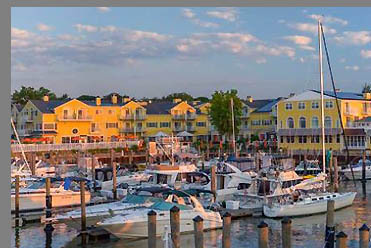 The Saybrook Point Inn & Spa, owned by the Tagliatela family, has 80 luxurious guestrooms in the main building, an attractive yellow with white trim building located on the water. They also have 2 smaller luxury properties located across the street from the main building, Three Stories Guesthouse, (opened in May 2014), has 8 exquisite guestrooms, and Tall Tales Guesthouse, their newest offering, (opened in April 2016), has 6 sumptuous guestrooms. Accommodations in both Three Stories and Tall Tales may be booked as single rooms or booked in their entirety for small groups or family reunions who would like extra privacy. 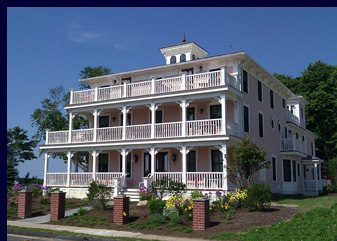 We have stayed at the AAA 4-Diamond rated Saybrook Point Inn & Spa on many occasions and have stayed in the main building, Three Stories Guesthouse, as well as Tall Tales Guesthouse, and they all have something unique to offer guests. Accommodations in the main building have direct access to the Sanno Spa, their AAA 4-Diamond restaurant Fresh Salt, fitness center, indoor and outdoor pools, and marina, and for guests looking for a unique and romantic getaway the Inn has a seasonally open lighthouse suite. Three Stories Guesthouse, named for its three levels, is a stunning pink and white Italianate mansion built in 1892 by William Vars, and lovingly restored by the Tagliatela family. The 8 opulently appointed guestrooms are named for fascinating local people who made an impact on Old Saybrook and have interesting stories to tell. 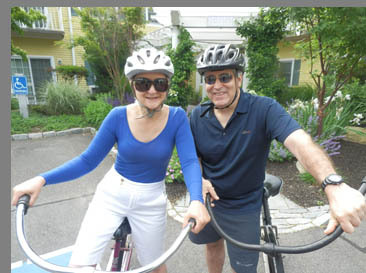 There is a guestroom named for William Vars, a railroad engineer who built and lived in the house; and a guestroom named for Mary Tagliatela, whose family owns the Saybrook Point Inn & Spa. Other rooms are named for Katherine Houghton Hepburn, a feminist, social reformer and leader of the suffrage movement in the United States, co-founder of the organization that would become Planned Parenthood, and the mother of the actress Katherine Hepburn; Anna Louise James, known as "Miss James" was the first woman pharmacist in Connecticut, the daughter of a slave, who graduated from Brooklyn College of Pharmacy in 1908, the only woman in her class; Anne Petry, niece of Pharmacist Anna Louise James, who was a Harlem Renaissance writer, and the first African American woman who sold over 1 million copies of her books, and Fitz Dibble, the local ice man. 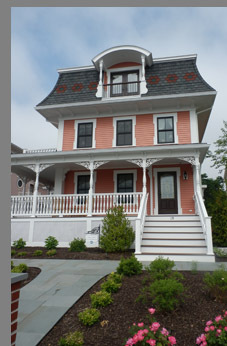 The mansion has an inviting large front porch facing the harbor lined with white wicker furniture and comfortable pink cushions that beckon guests to sit and relax and enjoy the view, or stroll in the pretty flower gardens or sit on one of the benches, and admire the sculptures and the large wood carver of Mr. William Vars and his dog. Inside, attention to detail begins with the umbrellas at the ready in the umbrella stand in the foyer, and continues with the elegantly furnished parlor with matching ivory tufted leather sofas with nailhead trim and decorative pillows flanking a coffee table laden with a flowering plant and a selection of magazines in front of a fireplace, fringed brass floor lamps add ambience, and paintings grace the walls with picture frame molding. A wingback chair positioned by a large window in one corner of the room invites leisurely reading, a chess table awaits guests to play a match or two, and an antique desk and chair recall days gone by, which belie the state-of-the-art technology in the building including motion sensor lights and WiFi access. The dining room features antique hutches with a collection of blue and white china and wine glasses, a visually stunning chandelier with raw quartz crystal draws the eye, and the dining table with 10 chairs, offers guests a selection of fruit, breakfast bars, and fresh muffins to start each day, along with a selection of coffees and teas. In early June 2016, we stayed at Tall Tales Guesthouse, an attractive coral mansion with white trim and a romantic mansard roof. Like its sister, Three Stories, the 6 guestrooms are named for prominent individuals who had an impact on the area. There are 2 guestrooms located on each of the three floor reached by elevator or via the attractive green and white trellis pattern carpet over the hardwood stairs that ensure guest privacy. With its small kitchen, spacious dining room, and living area with fireplace and cozy reading areas, the first floor beckons invitingly to guests. Guestrooms on the first floor are the Adriaen Block room which has a king-size bed, named for the Dutch explorer whose legacy is Block Island in Rhode Island, and the Lion Gardiner guestroom named for the English settler and soldier who founded the first English settlement, which is handicap accessible. 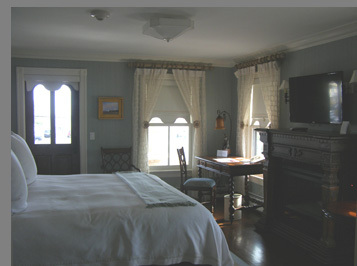 The second floor Maria Sanford room has 2 queen beds, and honors Maria Sanford who became the first women named to a college professorship, and the Barbara Maynard suite, which has a four-poster king bed and private sitting room off the main bedroom, and is named for Barbara Maynard who served the town of Old Saybrook for over 20 years. Also on the second floor is a billiards table in front of the carved wood fireplace flanked by 2 games tables at either end of the room with checkers, chess, and backgammon options. During our stay we played a few games of billiards as well as played checkers, something that we had not done in years; how fun! The third floor consists of 2 junior suites, the Lady Fenwick located at the back of the mansion, named for one of the first settlers who was the wife of the first governor of Saybrook County, and the General William Hart, located at the front, who was a prosperous merchant engaged in the West Indies trade. Hart and his brothers armed their merchant ships and armed themselves against the British colonists. The Harts were noted for entertaining frequently and quite lavishly. We stayed in the luxurious General William Hart junior suite, with a king bed dressed with sumptuous linens and a pristine ivory coverlet trimmed with gold and a plethora of pillows and European shams attractively showcased with an intricate gold headboard and gold post footboard, and flanked by bureaus with gold-leaf lamps. Gold elements continue to highlight the room with a gold area rug over the hardwood floors, gold accent pillows on the loveseat, and gold framed paintings that grace the walls. 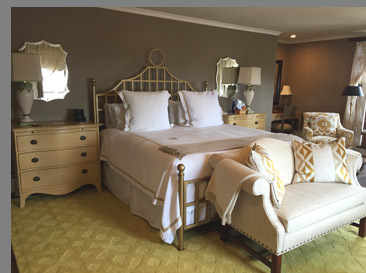 This stunning suite offers the best water views and also of the Saybrook Point Inn & Spa's lighthouse (which is a seasonal guest room). There are 2 decks, one directly overlooking the water, and another at the side of the house which has a small teak table and 2 chairs. We loved watching the boats from our high perch as well as sitting on the deck to have our morning coffee and enjoying the ambience. Sumptuous details include a luminary fireplace to add a romantic ambience to the room, a soft throw at the end of the bed, a loveseat and small coffee table, a gold printed armchair with ottoman and round table near the front door leading to the deck, and 2 matching armchairs flanked by octagonal tables, to provide several seating areas with ample reading lamps, and a large desk with a nice selection of magazines, stationary and postcards. Attention to detail continued in the very attractive and spacious bathroom with its off-white and yellow stripe large tile floor, skylight to offer natural light, and a pretty watercolor that graced that the wall. Thoughtful appointments include a wide stool by the large glass walk-in shower, jetted bathtub, hairdryer, and a selection of luxurious Sanno Puro and Zents amenities, which are also used and sold in the Sanno Spa. The front of the mansion features a wide porch with inviting chairs that beckon guests to sit and enjoy and the view, and there are also wood benches in the front garden. 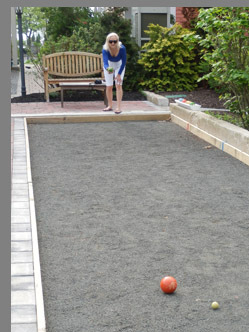 Behind the mansion there is a bocce court and we enjoyed playing several games with a little mild competition. 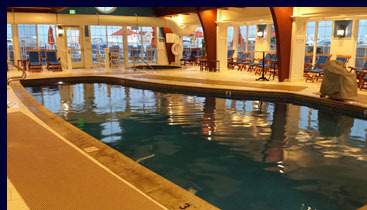 Saybrook Point Inn & Spa has a well-equipped Fitness Center with state-of-the-art equipment, as well as a whirlpool, steam, sauna, and an indoor salt water pool in the main building, and an outdoor salt water pool which is open year round. The indoor pool has the feel of being on a ship, and the walls of glass are lined with attractive blue cushioned lounge chairs. The pool also has an accessibility chair to lower guests into the water. The Inn has complimentary bikes for guests to use and we loved beginning our day by taking an early morning ride over the causeway and watching the swans, egrets and osprey, through the Fenwick and exploring the area, followed by a swim in the heated outdoor salt pool, and sessions in the whirlpool, sauna, and steam room, completed by a swim in the indoor pool to cool down. 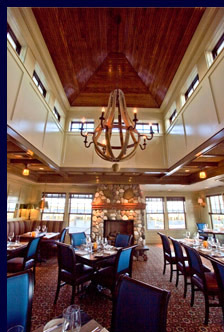 The Inn has an excellent restaurant, Fresh Salt, where the focus is on fresh sea and farm-to-table cuisine. A few of the many highlights of our dinner included the Tuna Sashimi with Wonton Matchsticks, Lobster Wonton made with Maine lobster and Asian cabbage presented with a yuzu-wasabi dipping sauce, Seared Yellowfin Tuna Steak, and Diver scallops presented around a colorful mound of sweet corn, grilled peach, baby heirloom tomato compote, topped with crab brûlée. 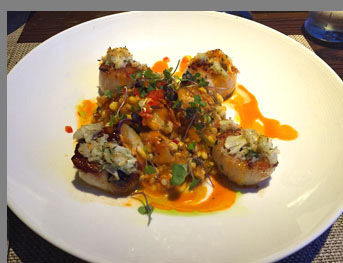 While we had an all-seafood dinner, the restaurant has an excellent selection of "land-based" options as well. 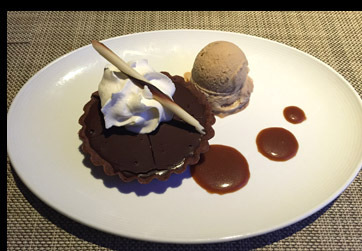 We ended our dinner on a sweet note with Pastry Chef Stephanie Schroeder's and Assistant Pastry Chef Jillian Gagel's ultra decadent Salted Caramel Chocolate Tart presented with Espresso-Caramel Sauce and Espresso Gelato, followed by after-dinner drinks of Anna's Creamy Limoncello and Anna's Creamy Orangello created by Restaurant Manager Anna Iacoletti who hails from Naples, Italy. 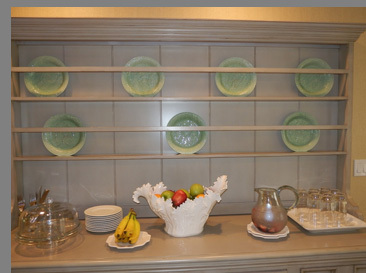 Fresh Salt restaurant serves Breakfast Monday through Saturday from 7:00 am until 10:30 am, Sunday from 8:00 am until 10:00 am, and Sunday Brunch from 10:30 am until 2:15 pm. 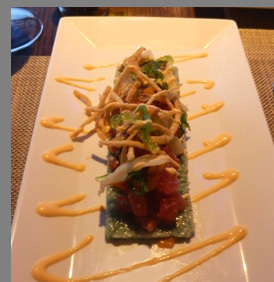 Lunch is served Monday through Saturday from 11:30 am until 4:00 pm. 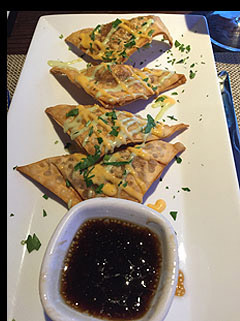 Dinner is served Sunday through Thursday from 5:30 pm until 9:00 pm, and Friday and Saturday from 5:30 pm until 9:30 pm. The Lounge is open Monday through Thursday from 2:15 pm until 9:30 pm, Sunday from 1:15 pm until 9:30 pm, and Friday and Saturday from 2:15 pm until 10:00 pm. 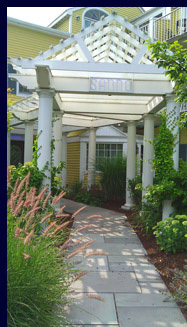 Sanno is the Inn's attractive spa, whose philosophy is, "Be well, look well, feel well, and eat well." 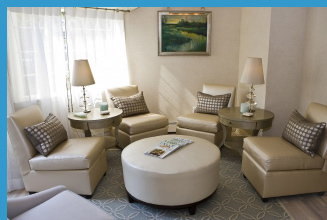 The spa has eleven well-appointed treatment rooms, men's and women's locker rooms, multiple relaxation rooms, and caring, professional, and knowledgeable therapists to ensure that each guest has a memorable Spa experience. It is a full-service Spa and features a diverse treatment menu for the face and the body, as well as a nail salon with special manicure and pedicure options, make-up application, eye artistry, waxing services, and a shop where you can make purchases to bring home the experience of Sanno. Being a destination wedding location, the Spa is a graceful addition to the elegant Inn. The Inn has an eye on "green" and was named a Certified Energy Hotel in 2007, and has charging stations for electric and hybrid vehicles. 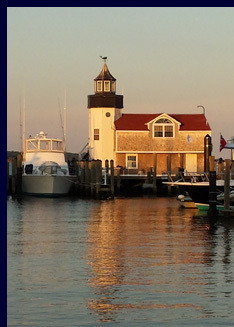 Their marina, which can accommodate vessels up to 200 feet in length, was Connecticut's first designated Clean Marina, and received the AAA 4-Diamond distinction. Dog lovers will appreciate the Inn's pet-friendly policy welcoming dogs 50 pounds and under, and of special note is the dog-walking service and special canine packages available. 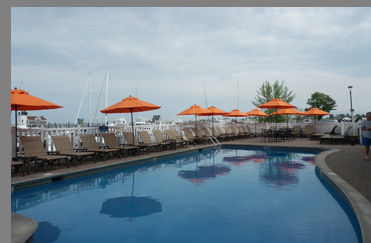 The Saybrook Point Inn & Spa is easily accessible by car, train, plane, or boat as the hotel has its own marina with transient slips available. Driving time from Boston and New York City is approximately 2 hours. For guests arriving by Amtrak the Inn offers complimentary shuttle service from the Old Saybrook train station to the Inn. 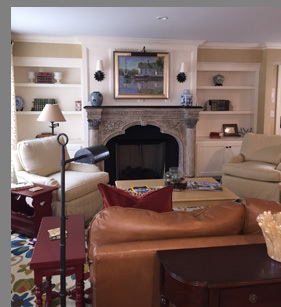 For guests who want to fly to Old Saybrook, the closest airport is Tweed New Haven Regional Airport located approximately 35 minutes from the Inn. 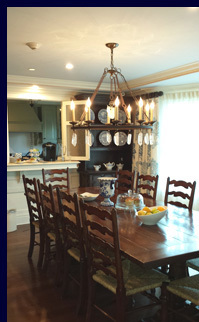 While the Inn provides complimentary shuttle service throughout the town of Old Saybrook, guests wishing to explore the nearby neighboring towns, can arrange for a car service through reception. 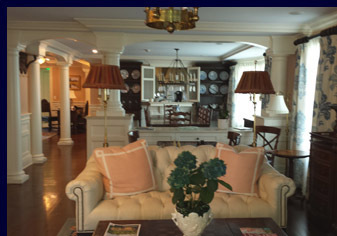 Visually stunning with luxurious amenities and attentive service by professional, knowledgeable, and caring staff, is what sets the high standards for the Saybrook Point Inn & Spa and creates lasting memories for its guests. Read about our Spa experience in the Spas section, about our dining experience in the Restaurants section and in the Chefs' Recipes section where Chef de Cuisine Gese Rodriguez graciously shares two of his delicious recipes to tempt your palate. 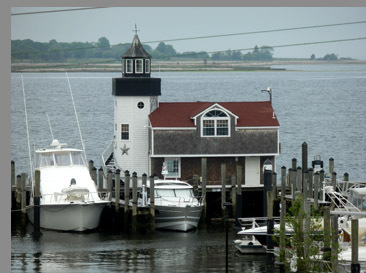 Read more about the Old Saybrook and the surrounding area in the Destinations section. © July 2016. Luxury Experience. www.LuxuryExperience.com All rights reserved.